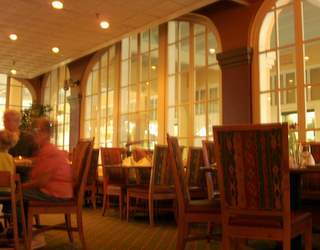 Try the San Marcos Golf Resort in Chandler for sumptuous dining. Looking for an elegant place for that special brunch featuring prime rib? It’s all-you-can-eat prime rib for you beef lovers. AJ’s Restaurant is the name of the place and it is part of the San Marcos Hotel. The prime rib has a salty rub on the outside of the meat that is delicious. Even the “a jus” or gravy is flavorful with a nice meaty aroma, kind of smelled of mushrooms too. First stop is the salad bar which has everything fresh, a bit less extensive compared to what you might have seen at other salad bar buffets. You get the standards like fresh baked rolls and baked potatoes. There is a glorious baked potato station so you can make your potato the way you want it. Oh by the way, if you have kids they can order off the menu and get a hot dog or whatever. Just know there are options. 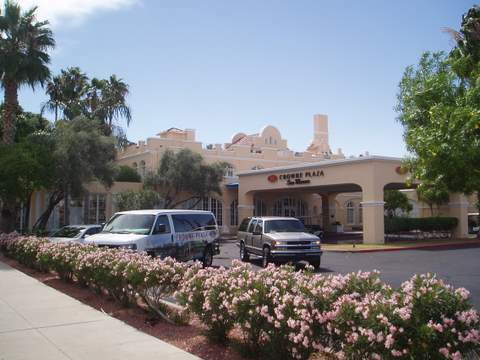 You will dine in an elegant setting and for the money this is a remarkable site. Notice the floor to ceiling mullioned windows that are sparkling clean. Even in the brightest part of the summer the sunlight is indirect because of the pergolas that shade the outside of the building so people can walk in comfort and so you stay comfortable inside. 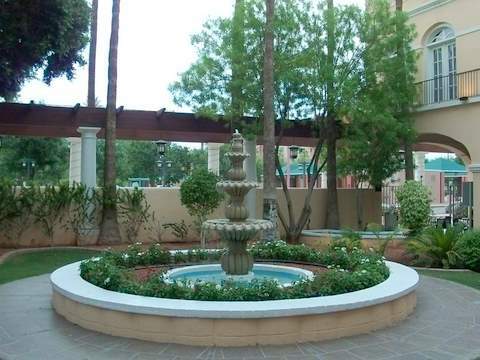 Everything about the resort is classy in a historical reserved way. 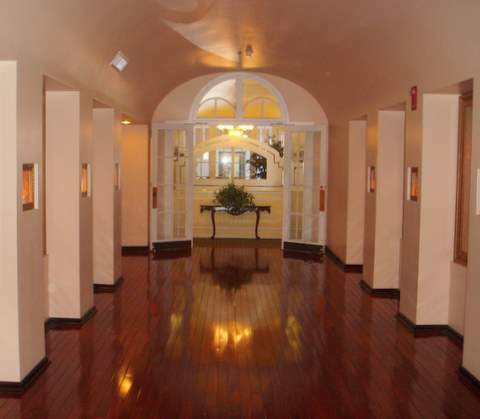 From the shiny polished redwood floors to the historic looking ceiling chandeliers-- it all says refinement. The exterior building design is in the mission revival style. The San Marcos Golf Resort was created in 1912 with help from the founder of Chandler, a vet named Alexander J Chandler. Dr Chandler enlisted the help of a renowned architect named Frank Lloyd Wright, so now you know where some of the design elements came from. You can name drop that next time you visit here with guests! 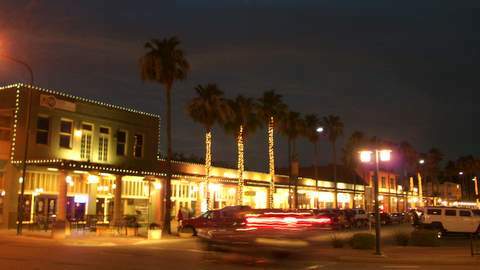 If you want dessert or need to walk off your dinner try out the street scene in the historic downtown Chandler area. This is located right out in front and next to the hotel. You could be graced with live jazz groups. Anyway, it makes for a nice date night. The San Marcos Golf Resort dining is seasonal so the summer is slow and you may not need reservations. However in the winter you might want to call ahead. The prime rib brunch is on Saturday now, this changes from time to time. The days, hours and prices can change anytime.